Yorkshire side Hanging Heaton battled it out with Swardeston, Nantwich and Roffey for the 2018 title. 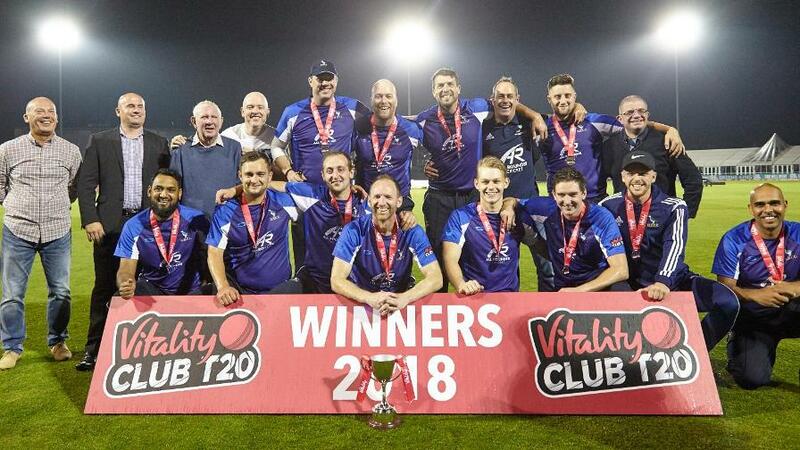 Hanging Heaton became the first Yorkshire club to win the Vitality Club T20 thanks to a masterful unbeaten 88 from their captain Gary Fellows, which steered them to a five-wicket win over Swardeston from Norfolk at the 3aaa County Ground in Derby. 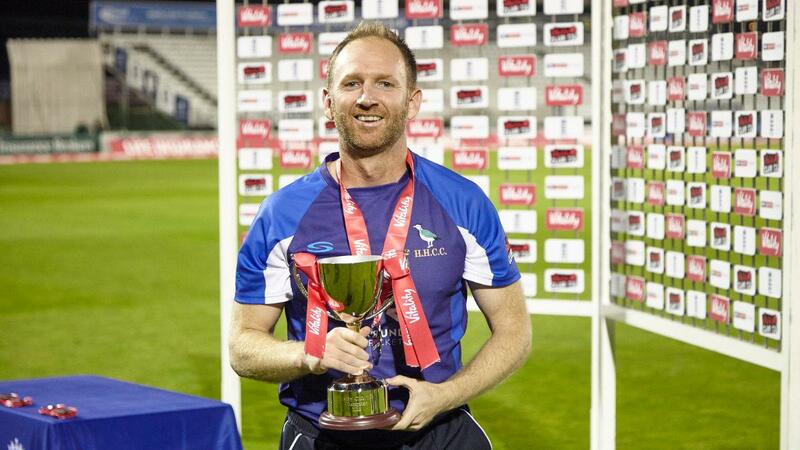 Fellows turned 40 in July but he displayed the skills and temperament that made him a key member of the last Yorkshire county side to win a one-day trophy – the C&G Trophy final in 2002 – to help the Bradford League club to their third trophy in consecutive weekends. 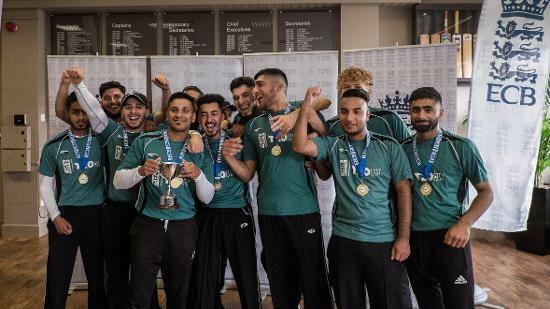 Last weekend they won the Yorkshire Champions Trophy and the week before that the historic Heavy Woollen Cup but this was their first national title in a competition that attracted an initial entry of 850 clubs from 32 leagues across England and Wales. 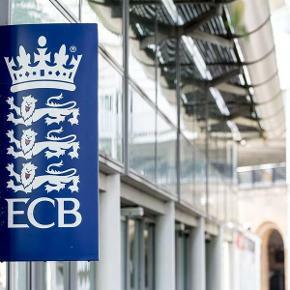 Hanging Heaton’s success also completed a trophy treble for Yorkshire on the day as Bradford won the ECB City Cup at Leicester and Folkton and Flixton lifted the National Village Cup at Lord’s. Fellows reached a fluent half century from 37 balls and 62 in his unflappable knock, which included the winning single as Hanging Heaton chased down 165 with three balls to spare on a pitch that was 100 overs old before they began the final innings of Finals Day. Swardeston’s defeat was a second disappointment for them in 24 hours as they missed out by a point to Sudbury in the East Anglian Premier League title race on Saturday. 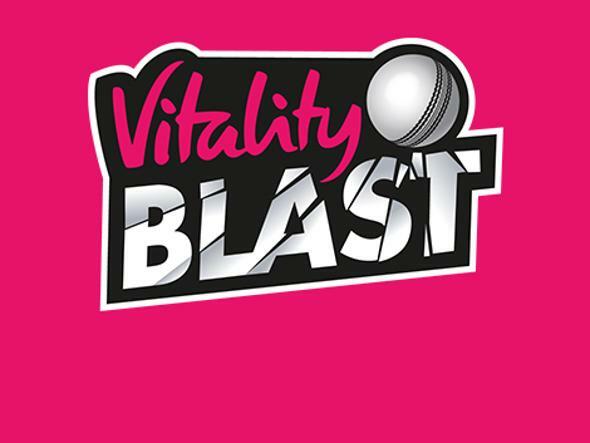 They were Vitality Club T20 champions in 2010 and 2016 but the absence of their captain Joe Gatting, the former Sussex and Hampshire batsman, through illness and their regular new ball bowlers Thomas Oxley and Freddie Ruffell because of holiday commitments, hindered them. Despite their selection difficulties, Swardeston proved admirably competitive with both bat and ball in both the final and their semi-final victory over Nantwich. Brothers Jordan and Callum Taylor gave Swardeston the early impetus after acting captain Mark Thomas had won the toss, with an opening stand of 51 in the powerplay overs before Callum, recently released by Essex, gave Callum Geldart a steepling return catch from a top-edged pull. Lewis Denmark, man-of-the-match in the 2016 final when Swardeston beat Sandiacre Town, holed out to deep midwicket but Jordan Taylor pushed them past 100 with a 44-ball half century. But Swardeston lost momentum after Taylor was bowled giving himself room against slow left-armer Aqsad Ali and they required a late flurry of boundaries from Richard Sims, a former Zimbabwe international, to get past 160. Sims’ off spin also proved an effective weapon in slowing Hanging Heaton’s progress but by the time he took two wickets in his final over, Hanging Heaton were already within touching distance of victory. Fellows added 45 for the first wicket with Ben Kohler-Cadmore and 48 for the second with Geldart. The loss of hard-hitting left-hander Joe Fraser gave Swardeston a glimmer of hope but they could not dislodge Fellows, who struck seven fours and four sixes in a perfectly paced innings. Earlier Lewis Denmark led Swardeston’s charge to the final by plundering 122 not out from just 56 balls in their semi-final victory over Nantwich from the Cheshire County League. Denmark’s first century for his club was also the highest individual score in Vitality Club T20 history. Denmark, 24, reached his half century from 34 balls but needed only 17 more deliveries to reach three figures with his second 50 including 40 – seven fours and two sixes – in boundaries. He then struck slow left-armer Oliver Griffiths for three consecutive leg-side sixes in a furious assault which saw Swardeston take 75 from the last four overs of their innings. 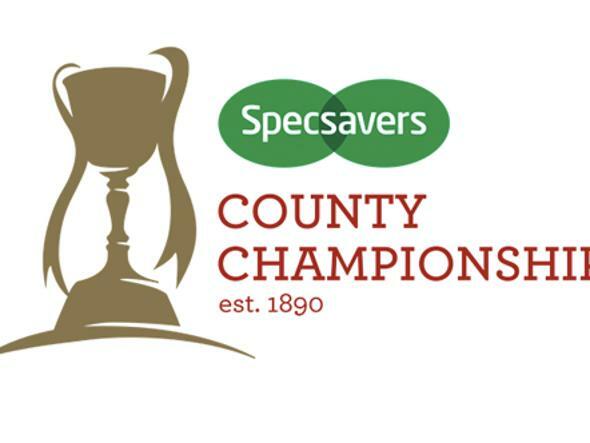 Nantwich were on exactly the same total – 137 for three – after 16 overs but their chase was throttled by Callum Taylor who took one for nine in four miserly overs. Left-hander Ben Johnston had given Nantwich a sniff of victory with 65 from 56 balls before he was bowled trying to heave Jeremy Elliott over midwicket and the innings lost momentum after he departed. Hanging Heaton’s semi-final victory over Roffey from the Sussex Premier League owed much to the economical bowling of former Yorkshire, Leicestershire, Kent and Somerset pace bowler David Stiff and his new-ball partner Tom Chippendale. Stiff had his former Leicestershire teammate Paul Harrison brilliantly taken by Nick Connolly at backward point in his first over and Chippendale took two wickets in his second over. Roffey effected a mini-revival but superb fielding kept them in check before Stiff and Chippendale returned to stifle the resistance. Hanging Heaton lost Royal Navy opener Ben Kohler-Cadmore, the elder brother of Yorkshire batsman Tom, to the first ball of their innings but they were able to pace their pursuit of a meagre target of 100. Fellows anchored the innings before Joe Fraser and Ismail Dawood, another four county man, eased them home with 15 balls to spare with an unbroken fourth-wicket partnership of 51. Hanging Heaton captain Fellows said: “It’s fantastic for the lads, for the club and our supporters. It can be tough sometimes playing a lot of Saturday and Sunday cricket but this is three out of three in the last three weeks. We have won three finals and that’s why you put those hours in. “We have worked hard for it, not just this year but the last three or four years. This is the culmination of that, playing at a county ground against the best in the country. “I’m pretty sure we wouldn’t have been favourites coming in today but we didn’t mind that. It was a case of making sure we enjoyed the day. If you are happy you play your best cricket and we know we have a lot of talent. “There were more than 800 teams at the start of the competition so to come out on top in September and be classed as the best in the country for six months is a fantastic achievement. “It puts Hanging Heaton on the map and the Bradford League on the map. 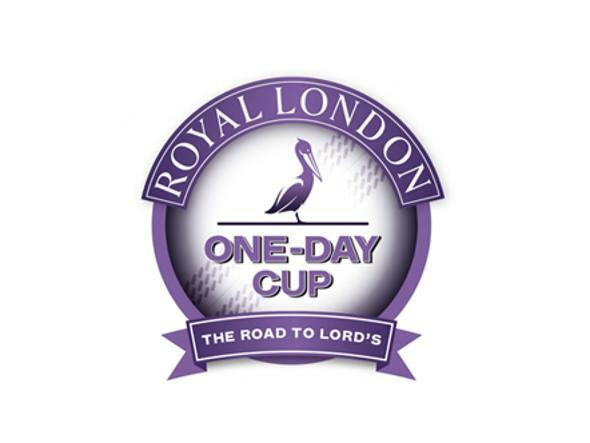 Mark Thomas, Swardeston’s acting captain, said: “It was a good game of cricket and it could easily have gone either way. It was a great effort from our lads. We always knew we were a couple of seamers short which meant we had to bowl spin and the rain didn’t help. “Losing Joe Gatting was a blow because he’s our captain and our best player but the boys did well without him. 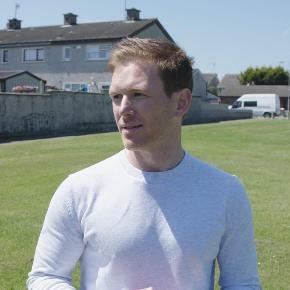 “The century by Lewis Denmark in the semi-final was probably the best I have seen in club cricket. Gary Fellows’ innings in the final but I thought Lewis’ innings was unbelievable.